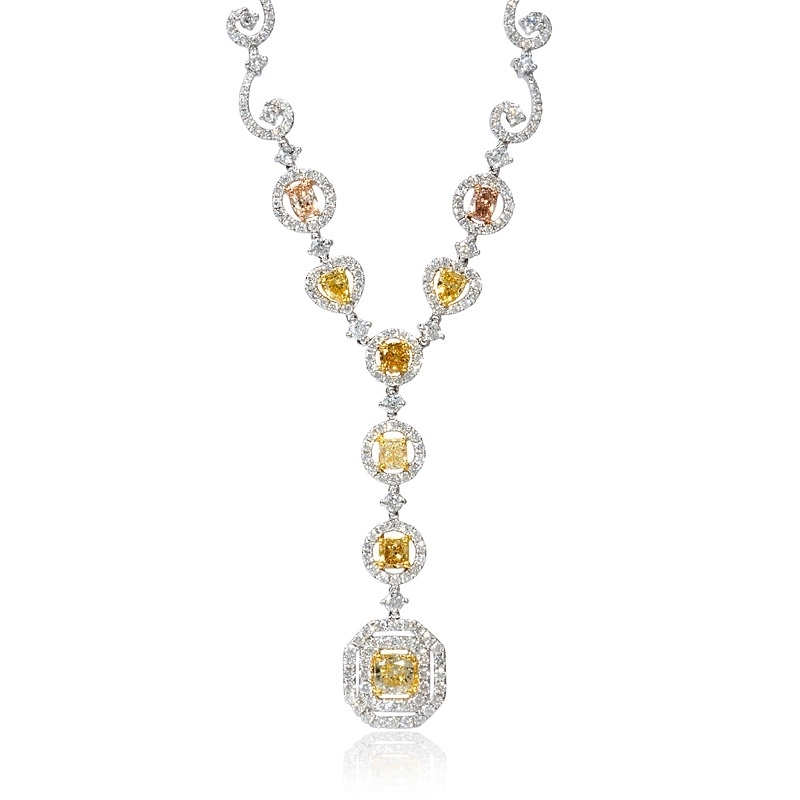 Diamond Details: 313 Round brilliant cut white diamonds of F color, VS2 clarity, of excellent cut and brilliance, weighing 2.51 carats total. 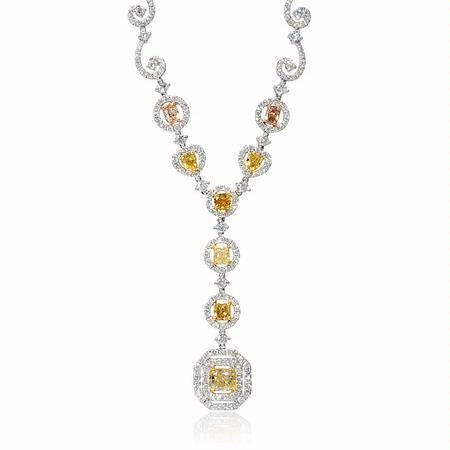 Fancy Diamond Details: Radiant cut, pear cut, princess cut fancy yellow and cognac diamonds, weighing 2.02 carats total. Measurements: 16.5 Inches in length and drop measure 1.75 inches in length. 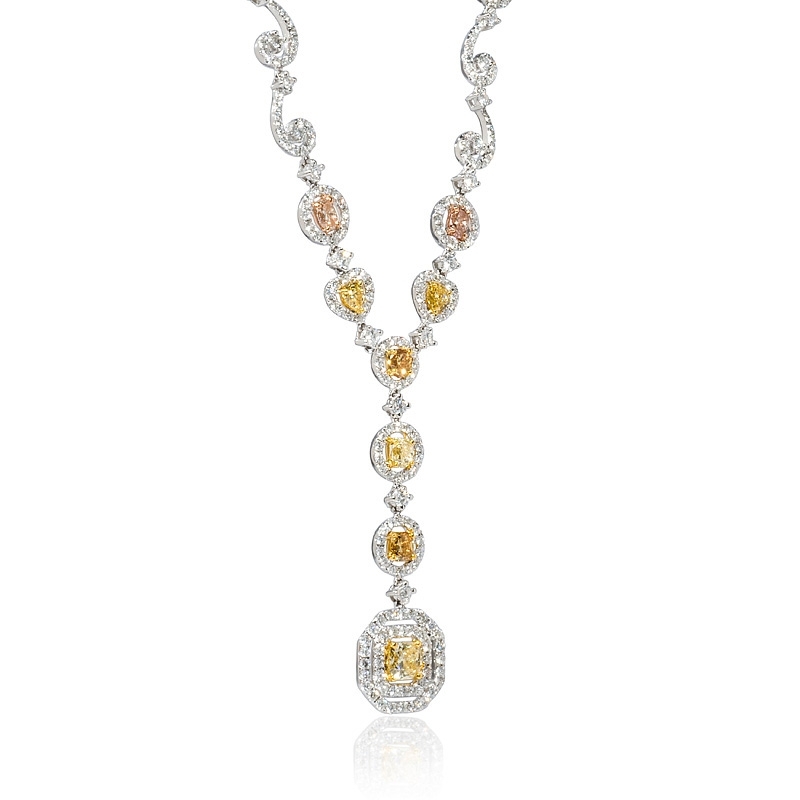 This stylish 18k white gold drop necklace, contains 313 round brilliant cut white diamonds, of F color, VS2 clarity, of excellent cut and brilliance, weighing 2.51 carats total with radiant cut, pear cut, princess cut fancy yellow and cognac diamonds, weighing 2.02 carats total. 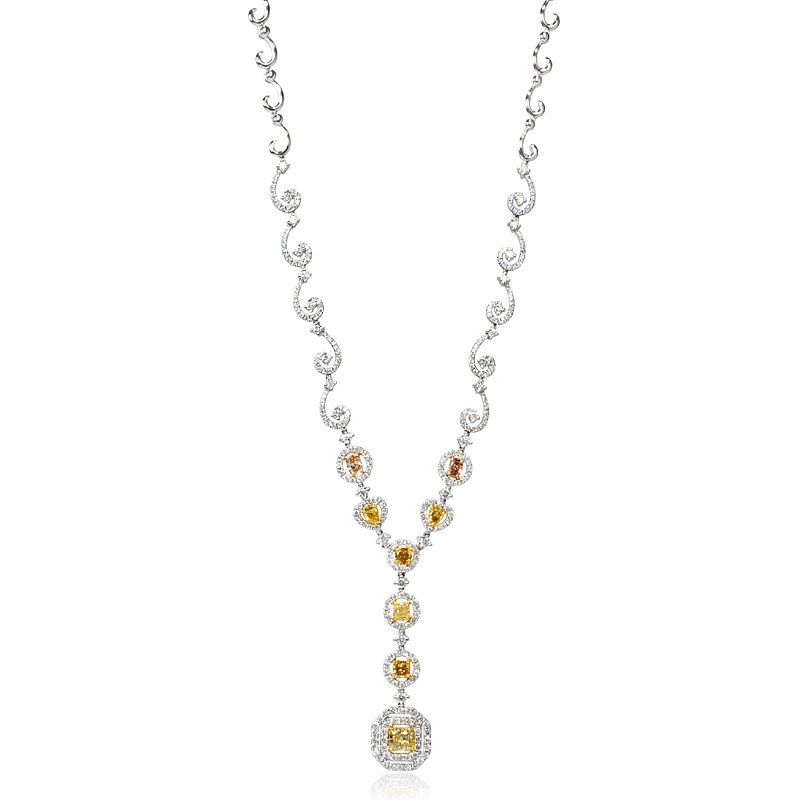 The diamond necklace measures 16.5 inches in length and the drop at the center measures 1.75 inches in length.